Classified as a historical monument in 1840, the current building was completed in the second half of the 12th-century. It’s actually built on the site of an ancient amphitheatre. Various times over the centuries the building has been destroyed by fire. In WWII, German troops book or the church and used it as a base of supplies. Today though, the colleges and their crypts have found a vocation as a center of cultural activities and exhibitions. Also this is the place where the St. Andrews fair was started. Opening hours follow the event schedule. Get to there on foot. How popular is Collegiale St-andre? People normally club together L 'esprit Du Parfum and Eglise St-aignan while planning their visit to Collegiale St-andre. 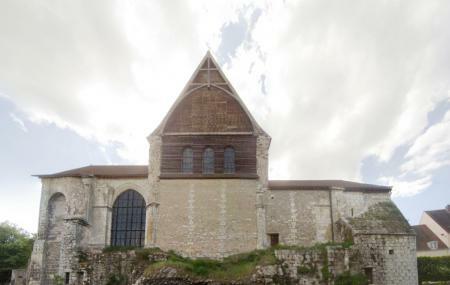 Now deconsecrated, this Romanesque church was the religious centre of one Chartres' liveliest areas, the "river workers'" quarter, home to millers, dyers, cobblers, fullers, tanners and tawers. In the 16C it was extended with the addition of a choir and an apsidal chapel built on arches spanning the River Eure. Sadly, the choir and vaults disappeared in 1827. Nowadays, this former collegiate church is a cultural centre hosting events and exhibitions. Superbe monument et lieu d expo avec son jardin.